The PBE has been updated! Today's update includes a new set of ability icons for Morgana, a login theme for the upcoming Omega Squad Teemo skin, new summoner icons for eSports teams from TR, RU, & OCE, and more tentative balance changes! To accompany her upcoming updated ability visual and sound effects, Morgana has received a new set of ability icons in today's patch! 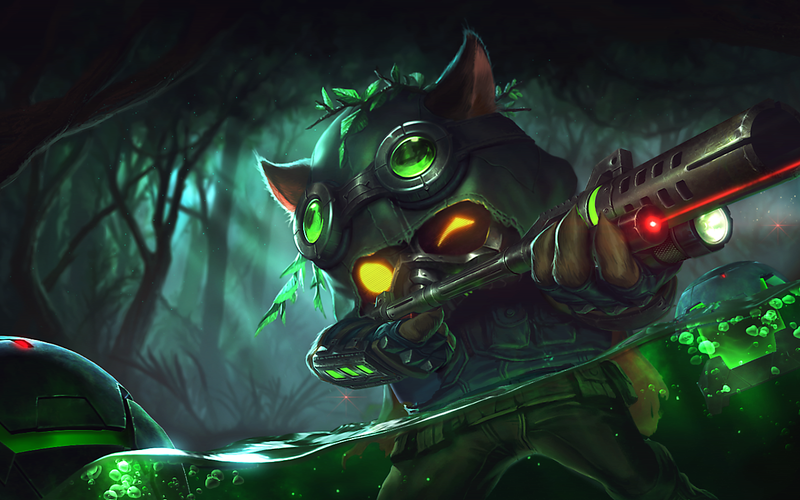 A login screen for the upcoming Omega Squad Teemo skin has been added in today's update! Check out our earlier PBE coverage for a preview of the legendary tier Omega Squad Teemo in-game, including his numerous special voiceover interactions! Following the new GPL icons yesterday, a total of 23 new summoner icons featuring teams from the Turkey, Russia, and Oceania competitive leagues have been added. Magical Journey (E) mana cost reverted back to 30 from 0. Primal Surge (Human E) cooldown reverted to 12 from 16. 3/24 PBE Update: Guardian of the Sands Rammus, Skarner, Xerath, Arclight Vayne, Morgana VFX/SFX update, Minion spawn VFX, and more! 3/30 PBE Update: New GPL Summoner Icons, Blitzcrank W change, and more!